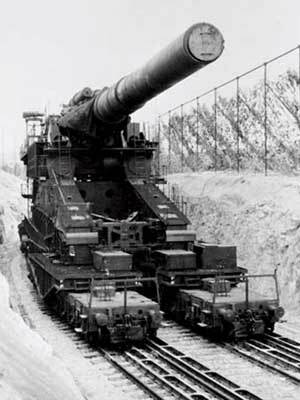 Not as mobile as it appeared, the Gustav Gun was a logistical nightmare. For starters, it required a 500-man crew.For sheer firepower, it's hard to imagine anything outgunning the planet-killing Death Star from the "Star Wars" movies. Not for lack of trying, though. Since the first catapults and cannons took aim, the search has been on for guns that can shoot farther, faster, and deliver more deadly results. Yet there are also those who've foreseen the opportunity to put these weapons to peaceful purposes.It's difficult to imagine the shock waves that reverberated through Paris on the morning of March 21, 1918, when shells began raining down on the city. They had been fired from the railway-mounted Paris Gun tucked away in the forest of Coucy-Auffrique, 70 miles away. The 264-pound projectiles soared 25 miles into the stratosphere, reaching their target in 170 seconds.Formally known as the Kaiser Wilhelm Geschutz Long-Range Guns, the weapons were produced by the dreaded Friedrich Krupp A.G. munitions firm. The guns used bored-out, 380mm naval cannons, each fitted with barrels that were 131 ft. long. Seven were produced, though never more than three operated at any time. I was a civilian advisor/trainer in Vietnam, arriving just as US troops were going home. I wasn't there to fight, but I hadn't been in country a week when I learned that the word "noncombatant" didn't mean much where I was posted, fifty miles south of the Demilitarized Zone (DMZ) that then divided South Vietnam from North. I got the message when a sniper's bullet whistled past my ear on the main highway twenty miles south of Hué. Joe Jackson, the burly major who was driving, yelled at me to hold on and duck as he gunned the jeep out of range, zigzagging to spoil the sniper's aim. Snipers or not, in 1971 it was the U.S. Government's policy not to issue weapons to civilian advisors in Vietnam, even to those of us in distant and dangerous outposts. The reason was not principle, but PR-and here begin the lessons for Iraq. Sometime in 1969, the White House, faced with unrelenting facts on the ground and under siege from the public, had quietly made the decision that America couldn't win its war in Vietnam. Nixon and Kissinger didn't put it that way, of course. America was a superpower, and it was inconceivable that it could lose a war to a third rate nation whose soldiers lived on rice and hid in holes in the ground. So the White House conceived an elaborate strategy that would mask the fact of an American defeat. The US would slowly withdraw its combat troops over a period of several years, while the mission of those who remained would change from fighting the North Vietnamese and Vietcong to training the South Vietnamese to carry on the fight on their own. At the same time, we would give the South Vietnamese a series of performance ultimatums which, if unmet, would trigger a total withdrawal and let us blame the South Vietnamese for the debacle that would follow. This strategy was called "Vietnamization." 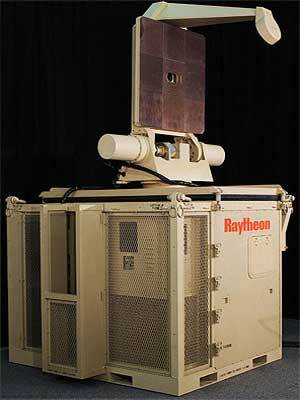 Implementing it cost at least 10,000 additional American and countless more Vietnamese lives, plus billions of dollars. It was a rigged game from the start. All but the wildest zealots in Washington knew that the South Vietnamese would not and could not meet our ultimatums: an end to corrupt, revolving-door governments, an officer corps based on merit not cronyism, and the creation of a national state that enjoyed popular allegiance strong and broad enough to control the political and cultural rivalries that had ripped the country's fabric for a thousand years. During the eighteen months I was in Vietnam, I met almost no Americans in the field who regarded Vietnamization as a serious military strategy with any chance of success. More years of American training could not possibly make a difference in the outcome of the war because what was lacking in the South Vietnamese Army was not just combat skills but belief in a cause worth fighting for. But none of that was the point. Vietnamization was not a military strategy. It was a public relations campaign. The White House hoped that Vietnamization would keep the house of cards upright for at least a couple of years, providing what CIA veteran Frank Snepp famously called a "decent interval" that could mask the American defeat by declaring that the fate of South Vietnam now was the responsibility of the South Vietnamese. If they didn't want freedom badly enough to win, well, we had done our best. To make this deceitful drama work, however, the pullout had to be gradual. The plan (Vietnamization) had to be easily explained to the American people. And the US training force left behind had to be large enough and exposed enough to provide visual signs of our commitment on the 6:00 news. Pictures of unarmed American advisors like me shaking hands with happy peasants would support the lie that Vietnamization was succeeding. Living in the bulls-eye, we understood the reality very well, especially when, as public pressures for total withdrawal increased in 1971-72, most of the "force protection" troops went home too. That left scattered handfuls of American trainers left to protect themselves. As the very visible US advisor to the city of Hué, I was an easy target for assassination or abduction, anytime the Viet Cong chose to take me out. I kept a case of grenades under my bed, I slept with an M-16 propped against the bedstead, and I had my own dubious army of four Vietnamese house guards whom I hoped would at least fire a warning shot before they ran away. In April 1972. North Vietnamese forces swept south across the DMZ, scattering the South Vietnamese Army (ARVN) defenders and driving to within six miles of Hué. I and a handful of other American trainers and advisors could only watch as a quarter-million panicked people gridlocked the road south to Danang, in a terrifying night reverberating with screams and explosions. We knew that any choppers sent to save us would be mobbed by Vietnamese eager to escape. I'm alive because American carrier jets caught the advancing North Vietnamese just short of the city walls and all but obliterated them. Now we have the Iraq Study Group Report, advising that the mission of US forces shift from fighting a war to training Iraqi troops and police. The Report calls for the US to lay down a series of performance conditions for the Iraqis, including that the Iraqis end their civil war and create a viable national state. I've lived through this one before. The increased training will make no difference. It could even make things worse since we will be making better fighters of many people who will end up in partisan militias. What the Iraqi military and police need is not just technical skill but unit cohesion and loyalty to a viable central government. Neither can be taught or provided by outside trainers. When US troops pull back from fighting the insurgents, most Iraqi units will lack both the military skills and the political will to replace them. More soldiers and police we've trained will join the militias. Violence and chaos will increase across the country. As the situation continues to deteriorate in Iraq, anti-American feelings will increase. Cursed for staying, we will now be cursed for leaving. Iraq will become an ever more dangerous place for any American to be. At home, political pressure to get out of Iraq completely will increase rapidly as the violence gets worse. The military force left behind to protect the US trainers will be drawn down to-or below-a bare minimum, further increasing the dangers for the Americans who remain. Military affairs commentator General Barry McCaffrey issued this sober warning in the December 18 Newsweek: "We're setting ourselves up for a potential national disaster in which some Iraqi divisions could flip and take 5,000 Americans hostage, or multiple advisory teams go missing in action." Nothing destroys troop morale faster than being in a war you know is pointless. At this same stage in Vietnam, drug use among Americans became a serious problem. Our ultimatums and conditions won't be met. As the situation gets worse, whatever remains of a central government in Baghdad will be even less able to make the compromises and form the coalitions necessary to control centuries of factional and tribal hatreds. The civil war will spiral out of control, giving us the justification we need to get out, blaming the Iraqis for the mess we've left behind. Then we will face the regional and global ramifications of a vicious civil war whose only winners will be Iran and al-Queda. US leaders may decide, as they did 37 years ago, that we must again create a "decent interval" to mask defeat and that the PR benefits of that interval are worth the cost in lives and money. If they do, however, they should-unlike the Iraq Study Group-not lie to us that such a strategy has any military chance whatsoever of success.